Käuferportal is now arranging contacts with kitchen suppliers as part of its UK services. This means that buyers can save both time and money in the search for their dream kitchen. Finding your new kitchen takes up a lot of time, effort and money: you have to wade through catalogues and online offers, and visit countless kitchen showrooms and furniture retailers. Alongside various consultations on planning and financing, there are decisions to be made on the kitchen’s colour, materials, design and equipment. It can take weeks or even months until the perfect kitchen and the suitable supplier are found. Käuferportal has set up the My New Kitchen.co.uk website to save potential buyers valuable time in the search for their perfect kitchen. 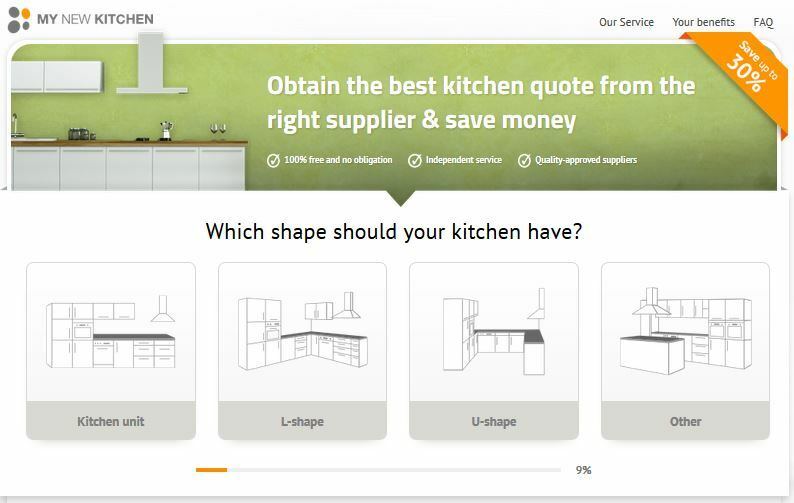 The free online service connects customers with local, certified kitchen companies, who subsequently provide individualised offers for the new kitchen. It’s as easy as this: the potential customer fills in the online form and describes the kitchen they want. Within a short period of time, the customer will receive up to three offers from kitchen suppliers in his/her area. These suppliers are competing against each other and so offer the kitchen for the lowest possible price. The potential customer only has to compare the offers and select the most suitable one. · The customer saves a lot of time in the search for a suitable offer. · He/she can save up to 30% on a new kitchen through comparing the offers. · The offers are tailored to meet the requirements of the customer. Would you like to learn more about this service from My New Kitchen? Then visit us at www.my-new-kitchen.co.uk!